The frame for this chair was made from a “green” white oak (Quercus alba), or probably a post-oak (Quercus stellata) quite a few years ago. The pieces were rounded with a draw-knife. 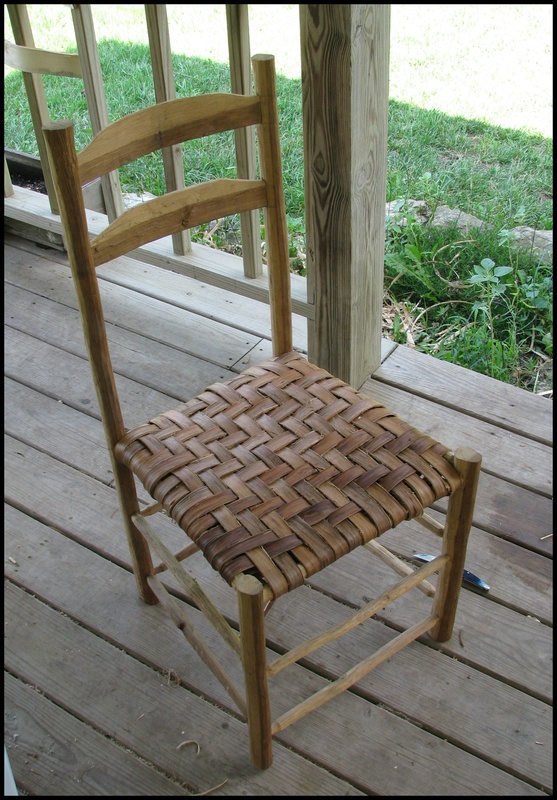 The seat was woven with hickory bark this afternoon. To inquire about chairs email Jack, playbango@gmail.com.